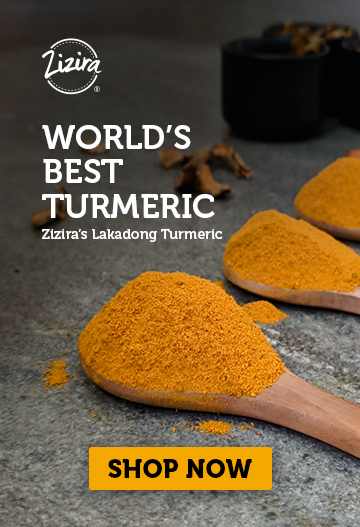 Zizira Explorers - Is Lakadong Turmeric an Heirloom Food? 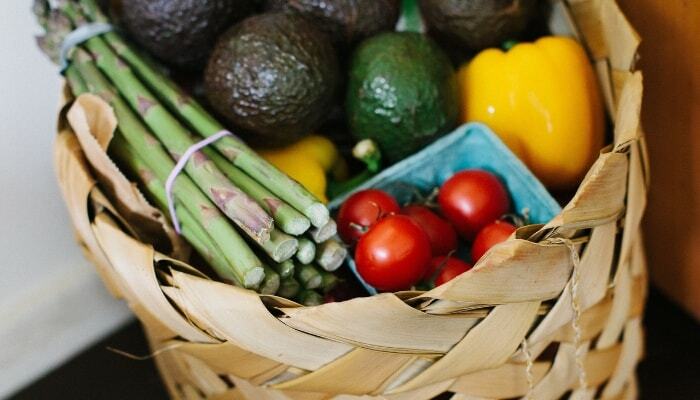 Ever heard of heirloom food or heirloom plants? Heirloom tomato? Heirloom oranges? What are these? You know about grandfather clocks or grandmother mahogany rocking chairs. Some of you even have one of those prized possessions occupying a place in some prominent corner of your houses. Those are real heirlooms. But what are heirloom food? 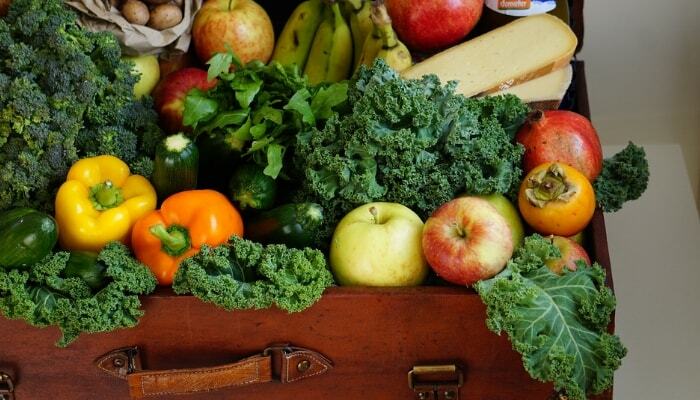 Ever heard of heirloom food or heirloom plants? You know about grandfather clocks or your family’s old furniture. Some of you even have one of those prized possessions occupying a place in some prominent corner of your houses. Well, fact is, some plants are heirlooms. Plants that have something to do with the past. That hang on from history, in a sociological set-up, such as in the eating habits of people from olden times. They make up what we may term as ‘eating memory’ or ‘Edible Memory’ as sociologist Jennifer A Jordan terms it in her book of the same name. This memory lingers on as continuing consumption habits from olden times till the present time. So, in essence, heirloom plants are those that survived not because of changing times, lifestyles, farming methods and eating styles but despite such changes. They stay preserved, raised and consumed by traditional societies and indigenous groups. These plants retain the identical or near-identical genetic make-up of their ancestors from the past. They continue to have the same features such as size, colour, taste and composition. What Makes a Food Plant Heirloom? Its reproduction is through its own seed material, therefore maintaining its original genetic, physical and compositional characteristics. It has a history of its own that goes back 50 years or beyond. Heirloom plants are open-pollinated varieties and cultivars that grew in forests or are widely grown by cultivators for centuries before the development of modern agriculture. They are of richer variety, with wider genetic diversity, sturdiness and taste. Unlike large-scale single crops developed from modern agriculture. Genetic wealth of heirloom food plants is safeguarded in the seeds passed down generations. As it naturally adapted to the environmental changes with no extra inputs. Perfect examples of heirloom foods are ancient grains such as quinoa and millets which have existed for centuries. Modern hybrids plants do not qualify as heirlooms because their seeds will not reproduce. They are developed in labs for high yields to feed growing populations. They require extra inputs of fertilisers and constant water supply. With hybrids plants, farmers have to keep spending money on buying seeds and inputs. With heirlooms, they select and store the best seeds carefully for the next sowing season. There are various plants in the world that qualify as heirlooms. 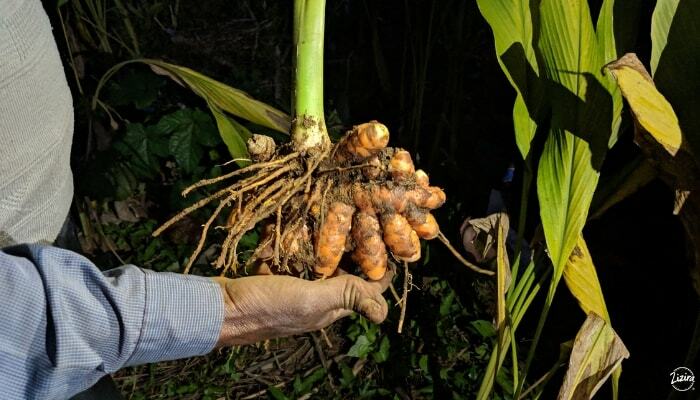 One such plant is the now famous Lakadong turmeric that grows only in a tiny corner – in Laskein block of Meghalaya’s Jaintia Hills district. During one of our team’s explorations in November 2018, we met Bah Langstang, a village elder and farmer from Lakadong village. This is what we learnt from him. The Langstang family moved to the Lakadong area sometime in 1950 in order to cultivate paddy and other crops in the surrounding fertile valley. Bah Langstang was a very young boy then. He and his siblings would often help their parents in the fields or look after the cattle. Heavily forested areas lay juxtaposed between their village and the valley and contained all manner of edible food plants. Turmeric was one of these, and it grew in abundance. It was not a cash crop then and was never cultivated but people gathered it from the forest whenever they required it for cooking or medicinal purposes. Sometimes they would sell the powder in the local market. This was a centuries-old practice, much before the Langstang family moved into the region. In later years, people from other places discovered that ‘Shangpung turmeric’ (as it was then called) was superior to every other turmeric variety available. That one particular variety – Lakadong or Curcuma longa Linn – has the brightest yellow and most pleasant aroma. Demand shot up and farmers of the Laskein belt began collecting the seed rhizomes from the forests and cultivating the plant in their backyards and fields to meet some of the market demands and supplement their incomes. The rhizome’s most distinguishing characteristics are its straight roots and a peculiar hanging ‘ball’ from one of the fingers, features that are absent in other varieties. At every harvest, these turmeric farmers of Laskein block continue to preserve the rootstock for future generations of Lakadong till this day. 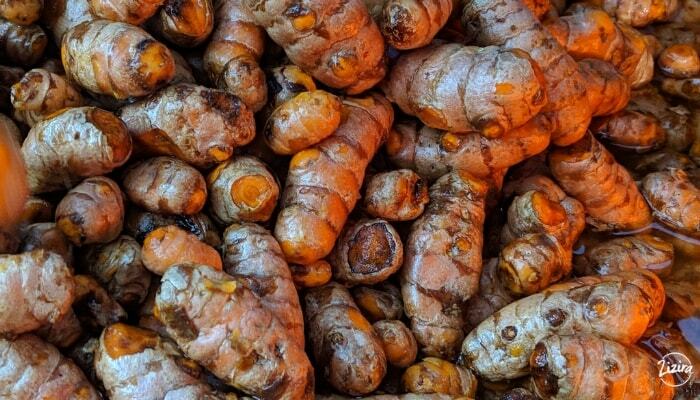 By all means, then, Lakadong turmeric can be nothing short of an heirloom. Bah Langstang and the locals of the turmeric belt have no taste for turmeric other than their own Lakadong turmeric. They are quite fanatical about their prized heirloom food and they take the pain in selecting and preserving the best and perfect seed material. 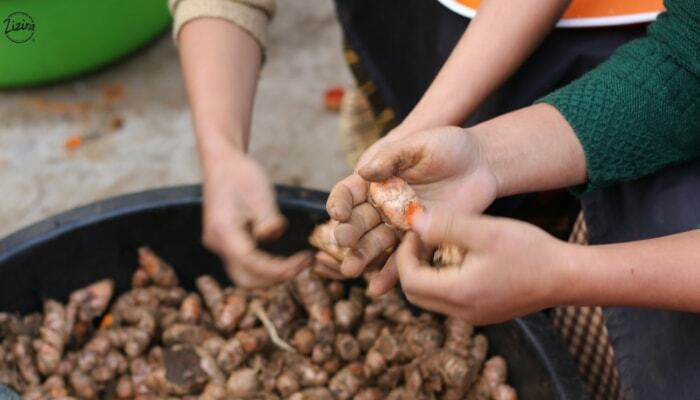 They know the difference between Lakadong turmeric and other varieties. 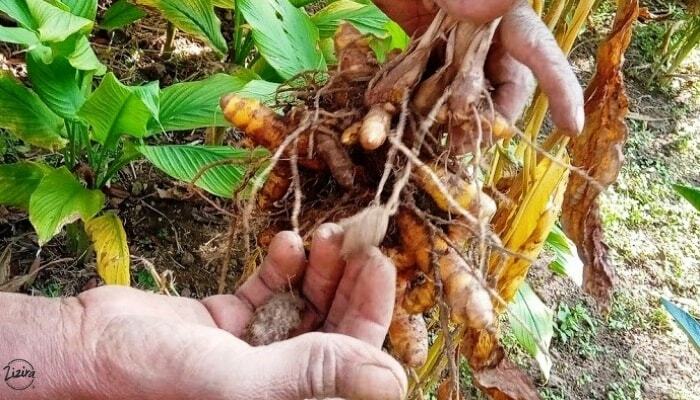 Lakadong turmeric is not as high yielding as other varieties such as, for example, Megha-1, which was cloned from Lakadong rootstock by the Indian Council of Agricultural Research (ICAR). The Megha-1 per hectare yield is double than that of Lakadong. It is also more disease and pest resistant comparatively. Yet traditional Lakadong turmeric farmers will have nothing to do with any other variety apart from their heirloom one. Apart from its excellent culinary utility, it is a proven fact that turmeric cures or prevents many diseases. Its acclaimed anti-oxidant, anti-inflammatory and immune system boosting properties are only three of a plethora of health benefits. Almost all of these benefits are attributed to its most bioactive phytochemical component, curcumin. So whenever you want turmeric, look for Lakadong. You will not only get the brightest yellow, the best aroma and the highest curcumin but an heirloom as well. Contact us at Zizira to know more. We would be glad to help you. Slow Food – a Fast Moving Idea! Meghalaya a Source for Heirloom Seeds?